Saint Louis Encephalitis virus (SLEV) is an emerging virus that causes encephalitis in humans. St Louis encephalitis (SLE) is an arthropod borne-disease transmitted by mosquitoes of the Culex species. In humans, SLEV infection is often asymptomatic and goes undiagnosed but, in some cases, neurological complications develop leading to coma and sometimes death. The Native Antigen Company supply highly purified recombinant SLEV proteins to support SLEV research and assay development. Saint Louis encephalitis virus (SLEV) is an enveloped, single-stranded, positive-sense RNA virus that belongs to the genus Flavivirus. It is a member of the Japanese encephalitis sero-complex of the family Flaviviridae, which also includes Japanese encephalitis virus, West Nile virus and Murray Valley encephalitis virus. In nature, St. Louis Encephalitis virus is maintained in a cycle between mosquitoes of the Culex species and wild birds, which do not develop disease and act as amplifying hosts. Mosquito vectors can also transmit SLEV to humans and domestic animals, which act as dead-end hosts for the virus. SLEV is geographically widespread from Canada to South America, with most reported cases of human SLEV infection occurring in North America (Diaz, A). In humans, SLEV infection causes the neuro-invasive disease known as St. Louis Encephalitis (SLE) but most cases are clinically asymptomatic and remain undiagnosed. A small percentage of patients present with symptoms of disease including headache, fever, nausea and general malaise. Some individuals recover but in rare cases, patients may further develop neurological complications including aseptic meningitis, encephalitis and coma, which can lead to death. 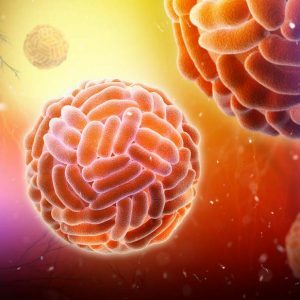 Severity of disease and mortality due to SLEV infection is reported to increase with age, with approximately 90% of geriatric patients developing encephalitis (CDC). Currently, no antiviral therapy or licensed vaccine is available for the treatment and prevention of SLEV infection. Owing to the difficulty of isolating SLE from clinical samples, diagnosis of SLEV infection is commonly performed using serological methods to detect SLEV specific antibodies in serum and cerebrospinal fluid. Diaz, A. et. al. (2018). Reemergence of St. Louis Encephalitis Virus in the Americas. Emerging Infectious Diseases, 24(12), 2150-2157. Centers of Disease Control and Prevention: St Louis Encephalitis. The Native Antigen Company have developed recombinant Saint Louis Encephalitis virus proteins in our mammalian cell expression system. These antigens are suitable for use in assay development, vaccine research and as antigens for the preparation of specific antibodies.